I am having quite the serious crush on the super talented and splendidly gorgeous Dan Sultan of late. I have just changed my FB profile pic to this one above........... be still my beating heart! and boy can that boy sing. Its all very pathetic for a woman of my age I realise but I do love to admire a good looking man, again and again and again. oooohhh, Dan Sultan. Hard not to have a boy crush on this beauty. Its the eyes isn't it...smouldering?! Oh and not to mention that voice. I too admire a good looking man..not sure if there is an age cut off for this...hehe. I have a crush on myself. oh and Colin Firth. yep.I think he is dreamy!! 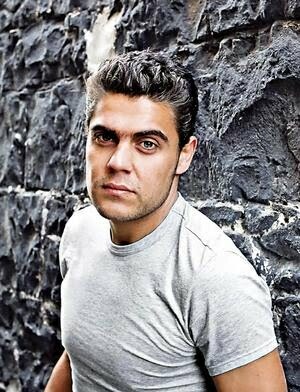 I have a super crush on Dan Sultan too!!!!! dan sultan is a hottie... yes indeed but my most recent and burning one is Alex O'loghlin. (new hawaii 5-0.